Huge Savings Item! 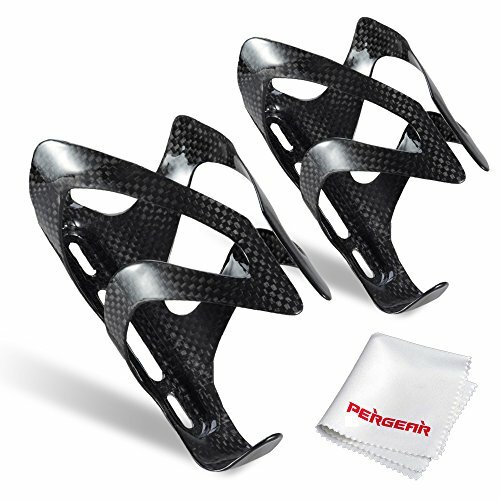 Save 20% on the Emgreat Lightweight Carbon Fiber Bike Water Bottle Holder Cage Water Bottle Cage- Pack of 2 by Emgreat at Joes V Cycle. MPN: RST-BC1309. Hurry! Limited time offer. Offer valid only while supplies last. Ultra light, high-strong, non-deformable, corrosion resistant etc. Only 1.05oz/30g per one, No logo design for clear and clean appearance. Hight: 5.7"/14.5CM, Max diameter: 2.95"/7.5CM. The design is convenient to hold and remove bottles. If you have any questions about this product by Emgreat, contact us by completing and submitting the form below. If you are looking for a specif part number, please include it with your message.